BuildTeam is a revolutionary blockchain technology company focused on creating cutting-edge services and applications; it is the parent company behind well known Steem app brands MinnowBooster, Steemvoter, QuickSteem, Steemsports, TechInvestor.io and BuildTeam Universe blogs. BuildTeam firmly believes that blockchain technology has the power to transform humanity and provide a new way of life for all of humanity. In fact, blockchain has already done much to advance that lofty goal through the implementation of its decentralized, trustless architecture. The team is decentralised with builders based in locations across the globe. BuildTeam utilizes the Bitshares Graphene technology and is supported by a strong infrastructure consisting of several blockchain based services. Our members have extensive experience building enterprise solutions on pre-existing Graphene blockchains including Bitshares and Steem. Vesting Rewards: Stake holders receive a portion of BuildTeam's total profits. Note (1): The 13 week vesting period was intentional should BuildTeam decide to port the token to Steem Smart Media Tokens in 2019, which will have the same minimum default vesting period. Note (2): Stakeholders can promote or utilise BuildTeam subsidiary apps and services and contribute directly to increasing the vesting rewards pool. Each month, a maximum of 5000 BUILDTEAM tokens will be distributed to BuildTeam builders as bounty payment for their services rendered to the BuildTeam community in "Proof of Productivity" (PoP) fashion. The BUILDTEAM token bounty payments are made twice per month on the 15th and last day of the month, with 2500 tokens distributed in each round. BuildTeam reserves the right to distribute less tokens in periods of low productivity and reserves the right to purchase tokens on the market and issue them during later periods of high productivity as additional bonuses and bounties over and above the standard emissions. Tokens have never and will never be sold direct to the public and shall only be distributed to Builders and bounty hunters. Builders are accredited recipients in that they are fully aware that BUILDTEAM tokens can only be acquired for purchase by the public via a secondary asset sale by the Builders to the market in transactions between the Builders and the greater public community. BUILDTEAM is classified as a Limited Float/Circulation token due to the low monthly emission rate and the fact that 25% of all emissions to Builders are on mandatory autostake. 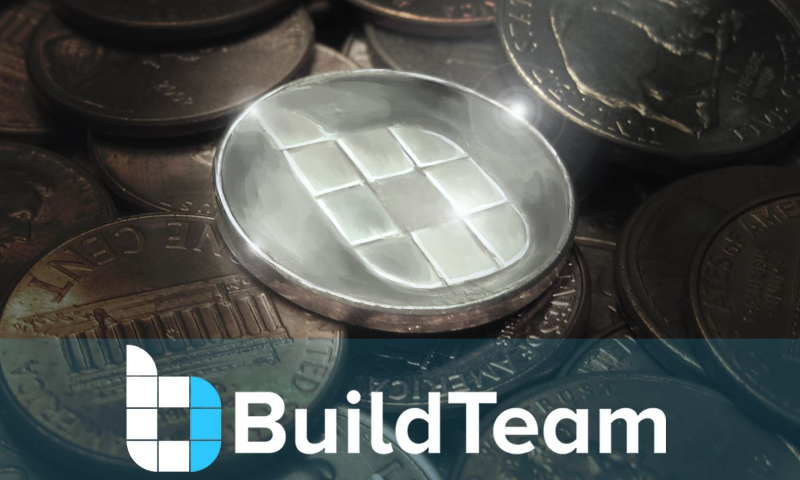 BuildTeam reserves the discretionary right to change the autostake percentage from time to time, Builders can however choose to autostake up to 100% of their tokens. The Virtualised Proof of Stake (VPoS) feature allows a token holder to vest (stake) their tokens in exchange for rewards. Essentially, the more tokens staked, the greater the rewards entitlement will be when staking payouts occur. Staking rewards are currently realised and payable in the Steem cryptocurrency as most of the team's projects and apps are based on Steem at this time; thus users will have to register their Steem username via a Bitshares transaction with a specially formatted memo. In a diversification strategy, BuildTeam also operates several WIRE and SMARTCASH masternodes which it will, at its discretion, sell off a portion of the masternode rewards bi-annually in January and June, exchanging the rewards into Steem for distribution along with the rest of the Steem staking rewards. Staked tokens are considered to be "powered up", which means they are locked and cannot be sold on the market or moved to other accounts. Thus staked tokens are effectively removed from the circulating supply of liquid BUILDTEAM tokens for the duration that they remain staked. Also just like with Steem Power on Steem, staked tokens will be subject to a 13 week "power down" process. This means that stakeholders can slowly unstake their tokens, unlocking them for market sale and transfers gradually over a period of 13 weeks. Staking encourages a longer term mindset and prevents people from aggressively "gaming" the payout dates. The key take away is that staking rewards long term holders of BUILDTEAM tokens with regular scheduled payouts. 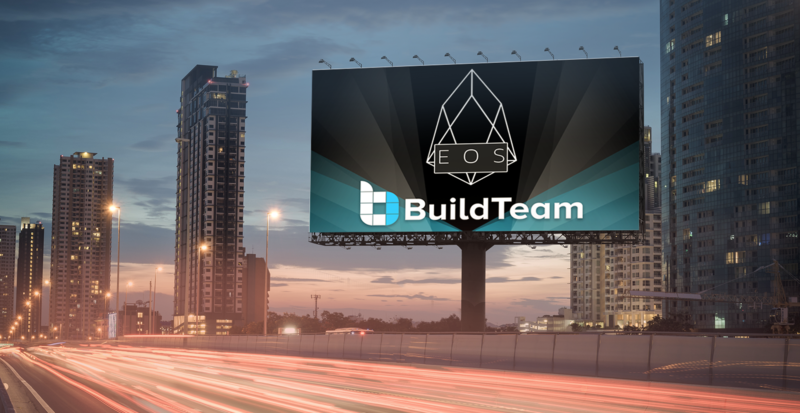 It's a fun way for both Builders and secondary market stakeholders to directly share in the success of the BuildTeam project! All the details when it comes to obtaining BUILDTEAM tokens, staking them, and managing your stake can be reviewed at the token page of our website located here. Staking rewards are distributed twice per month on the 1st and 16th of the month (the day after the BUILDTEAM token bounty payments). Payouts are made from a fund of BuildTeam profits that have accumulated over the previous 2 week period. The size of this fund is never announced beforehand in order to discourage purely speculative short-term staking behaviour. The amount that each individual receives is directly proportional to how many BUILDTEAM tokens a stakeholder has staked vs. the total number of tokens staked. For example, if you have 10 BT staked, and there is a total of 100 BT staked from all participants, you would receive 10% of the Steem allocated for the next payout. Note that the payout amount for each individual is determined at the exact moment of distribution. It is perfectly fine to establish a stake even as little as 10 minutes before a distribution occurs, and you will still get your fair share. However, the power down process prevents you from unstaking right away, so short-term speculation is discouraged. When Steemit Inc launches Smart Media Tokens (SMTs) in 2019, BuildTeam has potential plans to migrate BUILDTEAM tokens to an SMT. Other than supporting the Steem network, the primary reason for this change is that SMTs will have a built-in vesting (power up) function similar to what the Steem network currently has with Steem Power (SP), which is required for the BUILDTEAM token. Thus a lot of the staking functionality, which we have implemented through our custom VPoS feature, will be obtained on chain using SMTs. Ricardo Ferreira - @thecryptodrive, is an industrial and tech serial entrepreneur, with an extensive history of business experience. His previous roles include acting as a co-founder of an Internet Service Provider and following that role he acted as a CEO of a steel and industrial services business. Beyond those roles, he has also acted as chairman of various commercial and residential property body corporates. He holds a Bachelor of Commerce degree in Information Systems and Marketing as well as a long list of diplomas in Financial Accounting, Media Studies and Metallurgy. His journey in the blockchain space started off with him being an external consultant to Brave New Coin, where he was fortunate to have been mentored by CEO Fran Strajnar; and is connected to many key players in the crypto space and has built up his blockchain contacts over time. 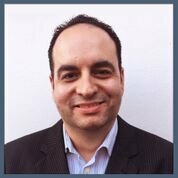 Ricardo’s many accomplishments involving blockchain include being a driving force behind Steem services such as Steemvoter, Minnowbooster and Steemsports. He also acts as a top 20 witness on the Steem blockchain and is one of the first thought leaders around the token leasing concept which came to life as the @minnowbooster Delegation Leasing Market (DLM). 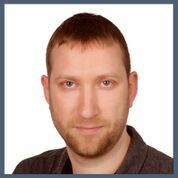 As the CFO of BuildTeam, Erik is responsible for Python development related to BuildTeam's innovative Bitshares token staking system. He is looking forward to returning to C++, his strongest programming language, to explore the exciting new possibilities offered by EOS. Erik hails from Issaquah, a small town near Seattle in the United States. He graduated from the University of Washington in 2003 with a B.S. in computer science and a minor in mathematics. Seeking adventure, he immediately moved to Japan, and has been living with his wife and daughter in Tokyo ever since. 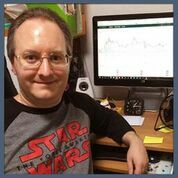 Erik spent many years in the finance industry as a software developer for fixed income and commodities trading systems before getting involved with cryptocurrencies. He joined the Steem social media platform in August 2016, looking at it as a promising new investment for his portfolio, and became involved with BuildTeam projects soon after. 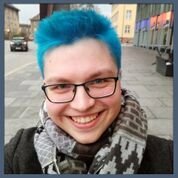 Our main developer and technical expert for BuildTeam, @reggaemuffin is a German student of Computer Science who is passionate about approaching cryptocurrencies from a social perspective. He has a focus on building applications that fulfil concrete needs in the most ethical way possible, user-centric and fair. 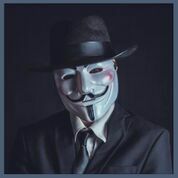 He is running a top 40 witness on the Steem blockchain and is engaging in the technical discussion of where to go with the platform. With EOS he is looking forward to in-depth discussions on the technical bits of the chain and to new ideas on how to improve the ecosystem. 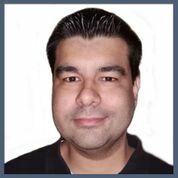 Our Systems Administrator and Infrastructure expert for BuildTeam, Nelson Ferreira - @nelkeljdm , is a highly skilled virtualization expert and shared storage specialist with nearly 20 years of experience in infrastructure, data-center architecture, design and implementation. Nelson has worked with the majority of "Blue Chip" companies within the South African mining and steelworks industry. He has also assisted food processing plants and bulk product manufacturers such as soap and hygiene plants overcome downtime and saving them millions of Dollars by building highly redundant networks with supporting server and storage hardware infrastructure. He has ventured out into the wilds of Botswana to apply the same principles of redundancy and resilience to one of the largest Copper Nickel mining plants in Africa. Beekart originally trained to be an IT professional but due to his passion and love for art, in his early 20's he decided to make a career change and train to become a professional artist and designer. 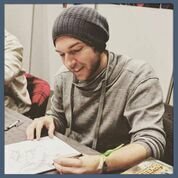 Since 2008 he has worked as a freelance concept artist and illustrator. After transitioning from Europe to the Asian-Pacific area. 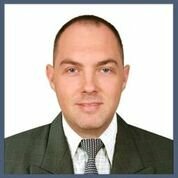 He most recently worked as a Sales and IT Consultant in ERP System Implementations and focused on challenging tasks like his organization's recent efforts to restructure subsidiary companies. @steembusiness has been extremely effective in building organizational systems designed to improve efficiency throughout BuildTeam and leading efforts to build out the organization's roadmap and global business strategy. BuildTeam prides itself on all three of these qualities. Its founders and builders have a long track record of accountability and ethical practice. There is nothing more valuable to long term success than following through on your word. We stand by our policies and statements and it’s all there, easily accessible on the Steem blockchain for anybody to audit. Thus we aim to maintain a high level of transparency and ethical behavior in all that we do. When you deal with BuildTeam, you know you will have a trustworthy partner. Finally, it is BuildTeam's mission to improve lives and increase quality of living for all human beings through thoughtful application of blockchain technology. BuildTeam has an innovative new model of governance when compared to traditional organizations. Instead of employees the organization fosters teamwork and refers to its workers and bounty hunters as Builders. The organization follows democratic principles and utilizes a distributed management structure, in which qualified Builders are asked to propose and vote on initiatives taken by the organization. Each Builder is in charge of a specific function in the organization’s day to day operations and applies their specific talents towards the growth of the organization as a whole. In partnership with the @steemdrive campaign, BuildTeam has crowdfunded billboards across the globe, the most recent being for the AirWire public offering (formerly Social Wallet). Billboards provide a certain real world validity that most other advertising mediums cannot offer, they are more censorship resistant than Facebook and Twitter advertising, which are often plagued with shadowbanning; in the face of discrimination of crypto projects by these and othe major internet players, billboards are now becoming more relevant than ever. BuildTeam has created a real proficiency as a startup incubator for cryptocurrency projects, assisting with copywriting, Steem blog promotion and billboard requisition. Billboards unite communities behind a common voice and increase euphoria, jubilation and engagement, we believe a positive marketing strategy should include billboard advertising and we will facilitate this to the best of our ability. MinnowBooster can be described as a series of tools or “Swiss Army Knife” for the Steem blockchain. The service features a fully functional voting market which facilitates the promotional sale of votes for the purpose of increased visibility on the platform. It also features investment options, like the MinnowBooster first of its kind Delegation Leasing Market (DLM), which allows users to lease and receive Steem Power (SP) from other users and facilitated over 16 Million Steem Power worth of leases in its first year of operation. This service is unique to the Steem blockchain and has been active since June 2017. Steemvoter is an automated curation tool and voting bot which is incredibly simple to use. The service offers users the ability to control multiple accounts and automatically vote on content published by their favourite authors. Settings can be fine tuned to control exactly when to vote and how much voting power to use. Steemvoter ensures that users never miss out on curating posts and maximising potential curation rewards, tirelessly working for you around the clock 24/7! New guild functionality has been introduced to enable users to power their communities by banding together followers in voting tribes to vote on various activity triggers set for the herald curator accounts of the guild. Revenue is derived through premium subscriptions and freemium subscriptions are possible by donating posting authority for utilisations of a freemium user's daily vote towards BuildTeam project content. QuickSteem is an easy to use app for creating pre-funded STEEM accounts using cryptocurrencies like BTC, ETH, LTC and several others. The application offers a quick, easy, reliable, inexpensive process that has partnered up with a third party API to make this happen. It features automatic checking of accounts and a robust filter which rejects phishing attempts and duplicitous spammy account names. 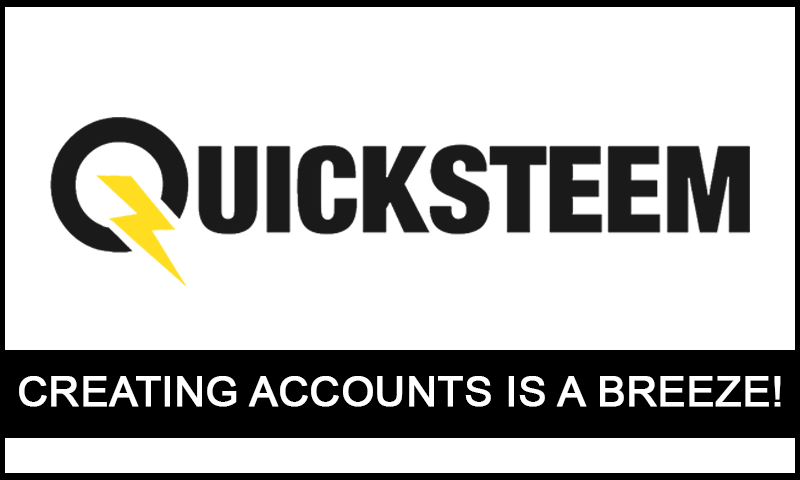 Quicksteem is arguably the best way to onboard new users to the Steem ecosystem instantly and without verification delays. We are currently looking for talented full stack and blockchain developers (experience with Steem or other blockchains is a plus) to help us achieve some of our larger roadmap items set for completion in 2018. We offer outstanding remuneration through our own Bitshares BUILDTEAM token and milestone completion bonuses for the right candidate. More specifically, we are looking for developers that are familiar with React and Node.js. Further experience using RabbitMQ and Vue.js is favourable. The candidate must be fluent in English and be able to demonstrate significant experience and ability to work independently through a body of completed work. Finally accumulated enough BTS to get a position going... Still waiting for limit order to execute and stake it all! Looking forward to this! Nice, good luck with your market order. Thanks for supporting the BuildTeam project! Where can I get the BT token? @warpedpoetic Do you have a bitshares account? Once logged in search for Buildteam. You will find multiple buy and sell orders as per the below..
Hello there guys. This is a outstanding job. It is amazing the possibilities within the Blockchain technology. Is it possible to find more info about this "Algo: Dual - Proof of Productivity (PoP) and Virtualised Proof of Stake VPOS"?, basically theory and practical implementation? Is this "Algo: Dual - Proof of Productivity (PoP) and Virtualised Proof of Stake VPOS" something you have created by yourself? If this is an algo created by your team, is it possible to use it as a funding project for a curation community in Steemit? If this mechanism of attracting investors is working so well could you share the anual projections of it? Would your team being able to advice and guide a curation team in order to implement a similar token system? Please let me know if you may answer all this questions here or would you prefer to get in touch by another mean, Discord? Telegram? Thanks for your time. STEEM ON & BUILDTEAM ON. Hi, thanks for your comment. The VPOS algo is virtual in the sense that Bitshares doesn’t natively have vesting like Steem does with its Steem Power 13 week vesting period. We had to build a proprietary app layer that bolts on this functionality which is why we termed it “Virtualised” as it is not hardcoded on chain. PoP is much like Steem’s reward system for authors which has a manual element of curation, the difference is that instead of curation we have an internal builder pay/bounty schedule which we update twice a month based on tasks and ongoing work being performed, the payment distribution system then ensures those Builders receive what they are due in BUILDTEAM tokens. Yes this model can be used for a curation community project, you just treat your curators as we do Builders and reward them in your token for their curation works and then the holding of the token entitles then to earn a revenue from your project. Regarding consulting to assist in creating a clone of our platform, that is not something that we are able to do at present as that will take away focus from our current roadmap and since we are a for profit organisation, most of our builds are proprietary in any case. SMT’s will be coming soon (perhaps end Q1 2019) to Steem and they will be well suited for curation project rewards incentives. Perhaps you could hold out until then, or create a bitshares token in the interrim as a placeholder, join the Bitshares community telegram and see if you can get a developer to code some offchain functionality for you. Hey @buildteam, good luck. I am impressed by your portfolio. Steem on. I a! Inspired by your portfolio. Great moving forward!